A set of go-to essentials curated by our pro artists for perfect makeup prep in an instant. A $131 value, yours for $78. 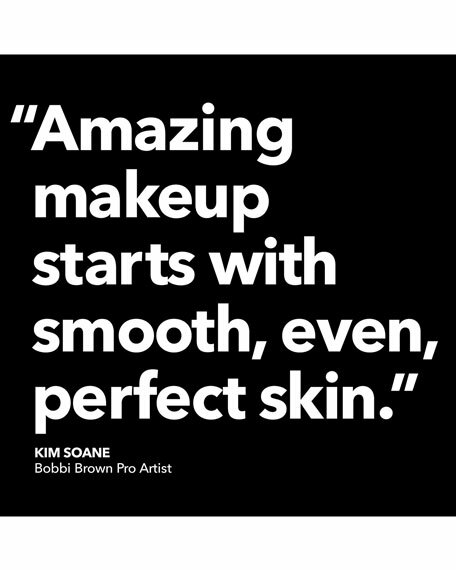 Creates the perfect canvas with smooth, hydrated skin and perfects makeup application in 90 seconds flat. Gently pat Hydrating Eye Cream under eyes, then apply Vitamin Enriched Face Base to just-cleansed skin. Use the Foundation Brush to apply foundation, starting around the nose and mouth and on the chin. Then blend out to the rest of the face. 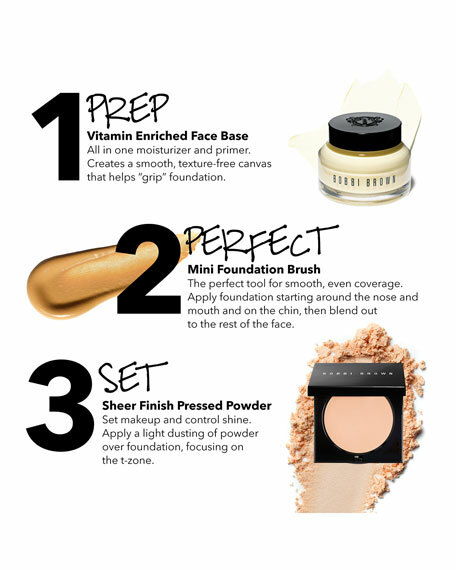 Apply a light dusting of Sheer Finish Pressed Powder over foundation, focusing on the T-zone. For in-store inquiries, use sku #2542983.